In this fast-paced, can’t-miss webinar Keith Cunningham will provide proven, actionable strategies that you can apply to drive business growth and maximize operating cash today and into the future. You will learn how to monitor and control the levers of your business and how small changes can make a huge difference to your company’s cash and growth potential. 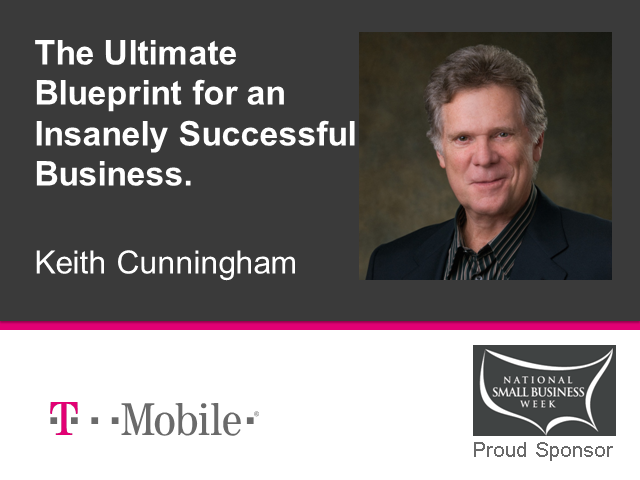 Join Keith Cunningham as he discusses how to create a path to a more profitable business future. Brought to you by T-Mobile. Keith J. Cunningham, author, entrepreneur, investor and trainer. Presented by: Keith J. Cunningham, author, entrepreneur, investor and trainer.